ISN is plugged into what it takes to get your airport baggage related operations up and running on the right foot. 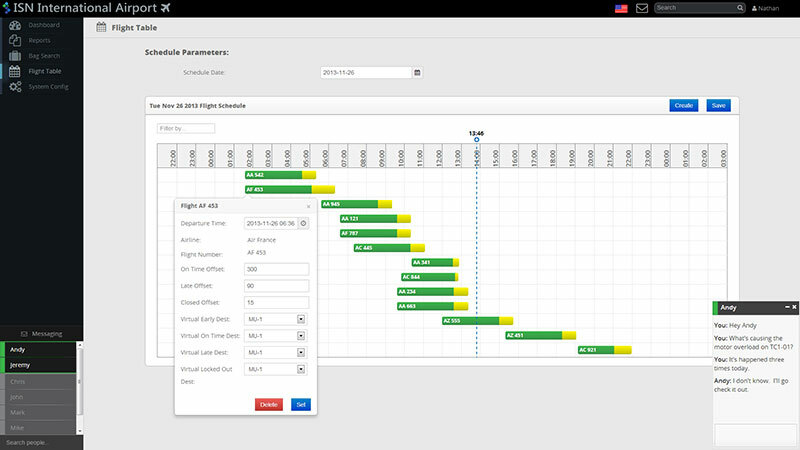 Whether it is designing a new baggage handling system from scratch, or upgrading your existing system to leverage the latest technologies, the best performing systems are the ones that have a clear vision at the design phase as to how the software and controls will perform at the end. 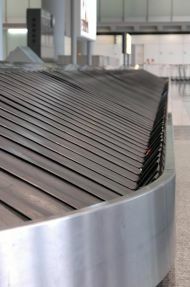 We have participated on design teams, provided system modeling assumptions and descriptions of operations, and performed constructability reviews for some of the largest baggage handling systems in North America. Don't just get a newer system, get an Intelligent System. ISN has been a part of the design and review teams on many large airport baggage handling projects across North America for airports. Our goal is to bring focus on the software and controls which will impact the operation of the system as early as possible in the design effort. Our experience has allowed us to push the realistic thresholds of what can be expected out of a mainline, a diverter or a screening machine. Setting realistic expectations of a control system up front will help ensure a satisfied end user after everything is all said and done. When Should You Engage Us? 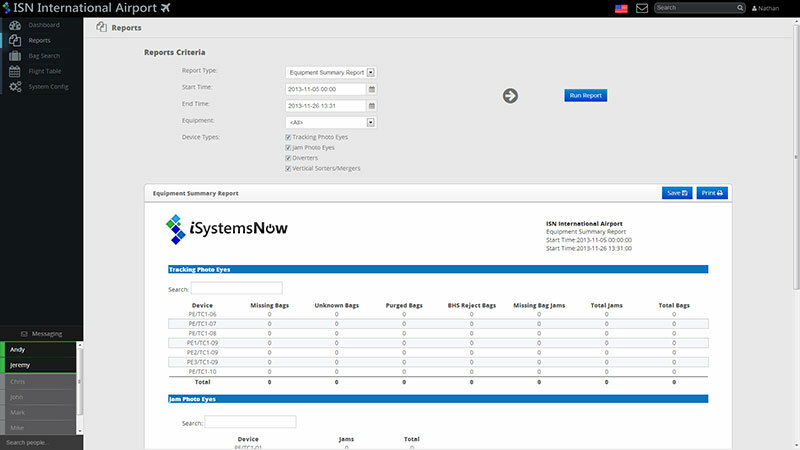 As legacy systems come due for upgrades and modifications, a detailed BHS process study and control system audit can help determine areas of your system which would most benefit from modernization or modifications. We have worked closely with airlines and airports throughout the last 5 years to study systems coming up for upgrades, to get the best bang for the owner’s buck. Simply put, ISN knows Baggage Handling Systems. Our teams have worked with our OEM partners to deliver electrical design, controls integration and supervisory software for some of the largest airport bag rooms in North America. Everything starts with architecting an electrical and controls solution that takes advantages of all the technological advances our equipment vendors have been working so hard at, year in and year out. Recently, we worked hand in hand with SEW to architect an electrical and controls system for a bag room that takes the distributed design approach to the next level. This technique results in energy savings, further standardization on drive packages, and simplified installation. 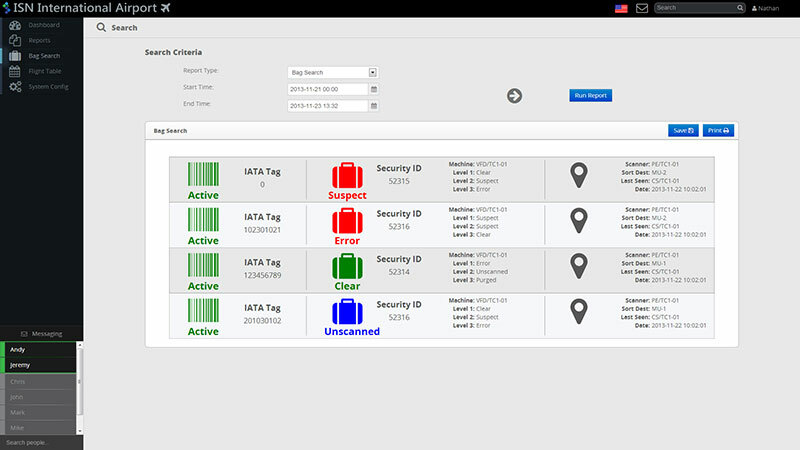 Our standard baggage handling system PLC code has been tested, and performed, to adhere to the latest PGDS standards put forth by the U.S. Department of Homeland Security. We are actively involved with industry experts to ensure our code standards are compliant with the latest benchmarks in the airport world. 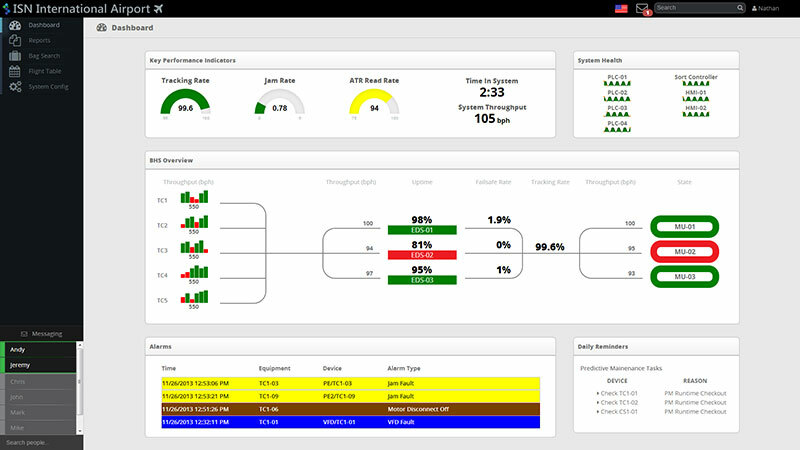 The goal of emulation is to verify and test an automated system before ever setting foot into a customer's facility. The modelling software's job is to render the bag movements and virtual environments using real physics, while the linked PLC control software initiates I/Os and hardware decisions in real time. This allows the control software to be fully tested in an office setting before it is shipped to site. With emulation as part of our project lifecycle, we are able to detect bottlenecks and discover issues in an office environment rather than on the job site. We can save time debugging code, and also pass on cost savings to our customers. It is a win-win situation for everyone involved.